Butterflies are mesmerizing creatures with more to offer than beauty alone. Because they are nectar eaters, they are great pollinators, and their larvae provide food for birds and other wildlife. Due to loss of habitat, butterfly populations have been declining, but you can promote their welfare by selecting appropriate plants for your garden beds and borders. And as you attract butterflies, you’ll attract other insects like bees, which flourish in a flowering environment and are beneficial to the health of your backyard landscape. 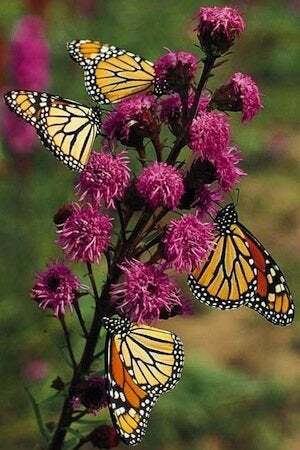 Butterflies are attracted to brightly colored flowers, the nectar of which they feed on. Different species of butterflies like to eat different things, so find out which native plants are favored by the butterflies in your geographic area. Among the greatest hits are butterfly bush, milkweed, purple coneflowers and asters. You will also need to include “host” plants. These serve not only as sites for the butterflies to lay eggs, but also as food for the caterpillars, which often eat different plants than their adult counterparts. Clover, cassia, and violets are among the preferred host plants, but there are many others, so do your research. Unable to regulate their own body temperatures, butterflies need a sunny place to get warm as well as a shelter in which to find shade. Situate your garden so that it receives at least six hours of sunlight each day. Butterflies tend to lay their eggs in protected areas, away from harsh, excessively cooling winds. And they will need to rest their wings, so incorporate a few flat rocks into your landscape design. Butterflies need water, not only for hydration, but also for nutrients. Have you ever seen butterflies congregating around a puddle after a rainstorm? In such a way, butterflies consume salts and minerals that are important for their survival and reproduction. To be truly butterfly-friendly, put out a small container of water with sand in the bottom; add in a rock for resting. 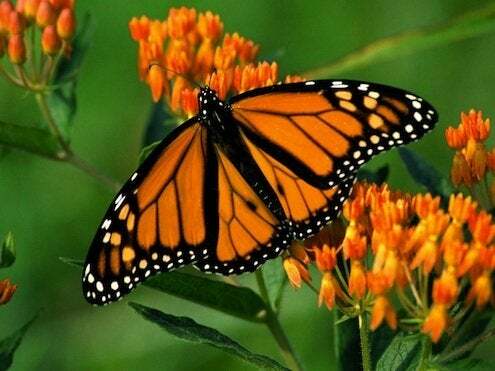 Any broad-spectrum insecticides you use will kill butterfly larvae. If you wish to keep a population of butterflies in your garden but must use insecticides, spot treat insect-affected plants instead of spraying the entire yard. Bear in mind that using soaps and oils to discourage pests will kill caterpillars, so relocate larvae before using those types of treatment. Planting a butterfly garden will not only benefit the butterfly population and other wildlife, but also bring delight and pleasure to you as a gardener—and to anyone who visits and encounters these fascinating creatures.